Communication is everything in business, without a solid line of communication projects fall apart, accidents happen, and money is lost. Businesses are always trying to find new ways to improve communication between employees and team members in order to provide a better customer experience and increase productivity. Two-way radios offer an excellent option when it comes to job site communication. There are many reasons why two-way radios are a much better option than cell phones, they are more reliable, easier to use, and made especially for rough job sites. If increasing communication is important to your business, two-way radios can help make it a possibility. 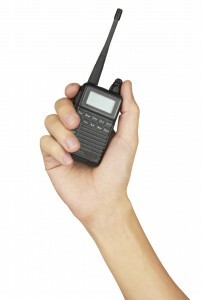 Here are some of the major ways two-way radios improve business communication. When you place a phone call to a coworker and the line rings and rings it can be deterring to call back again later. Especially if once someone answers you have to wait to be transferred! No one has time to waste on hold, and so employees start to make judgment calls based on the need to dial up a coworker or not. This can easily result in a lapse of communication that ends up costing company money. Two-way radios are an instant line of communication for coworkers to rely on. Since it is so easy to make and receive a call using a two-way radio, workers are more likely to take advantage and do so. 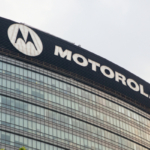 Two-way radios make it easy-as-pie to conduct a large group call. This makes it easier to hold regular meetings and conferences throughout the workday, keeping coworkers in the loop and feeling connected as a whole. It takes a lot of time to gather 5, 10, or maybe 15 different employees together in person. Think about how much quicker and efficient it is to simply conduct a group call that reaches everyone with a connected two-way radio. Times of trouble or emergency require the most desperate need for fast communication between coworkers; granting the communication benefits of two-way radios another chance to shine. When something goes missing or needs immediate attention, two-way radios allow the message to reach everyone all at once. This rapid communication allows the team to identify solutions faster than any other form of contact. Instead of contacting the entire group, workers can contact individual peers and managers as well. This makes it easy for workers to talk with who they need when they need. Two-way radios allow workers to communicate at all hours of the day, no matter their exact location in the work field. This direct access helps manage all team members with more efficiency. Certain radios come with GPS capabilities which further assist in the location and coordination of workers. 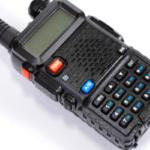 Some two-way radios offer a variety of communication forms, including verbal dialogue and text messaging. Most two-way radios with a screen offer the option to text a message. This is useful if team members are trying to be discreet, or if noise is an issue. Noisy job sites encounter a rather unique problem when it comes to hearing and understanding one another. If you can’t hear what a coworker is saying it is going to be difficult to react properly, or even respond. Some of the latest accessories for two-way radios rely on cutting edge technology to filter out even the loudest of sounds. This allows for clearer communication than ever possible before. 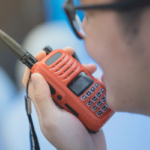 Voice enhancement features are especially useful to emergency response teams that deal with noisy environments regularly, and need the ability to communicate no matter what. A lack of communication leads to a greater risk of danger. Many calamities that can be prevented if all team members can instantly contact one another. If one worker encounters a threat, it takes seconds for all others to get the message and come to assist. The greatest danger is not being able to communicate with team members in the instance of a minor problem or emergency. 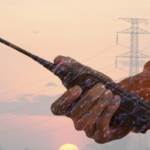 Two-way radios remove the dangers associated with poor lines of communication. Also, in the case of widespread emergency radios still work when cell phone lines become overcrowded and unusable. Two-way radios keep your team connected no matter what life throws your way. Contact Highland Wireless today and find out more about how two-way radios can benefit your business.